Designed to support normal bowel movements and suited to those travelling or taking antibiotics; Ultra Probioplex™ Duo contains 4 different strains of live bacteria alongside Saccharomyces boulardii, blackberry extract and vitamin D.
Why choose Ultra Probioplex™ Duo? Ultra Probioplex™ Duo is a unique duo combination of Saccharomyces boulardii and live bacteria that has superior stability and is ideal for those travelling or taking antibiotics. This formula contains 8.5 billion extensively researched live bacteria strains and 6 billion Saccharomyces boulardii. The bacterial strains are L. acidophilus NCFM®, L. paracasei Lpc-37, B. lactis Bi-07® and Bi-04. Ultra Probioplex™ Duo also contains vitamin D which contributes to the normal function of the immune system. This formula features ProtectAir technology which guarantees the number of live bacteria and their quality without refrigeration until the expiry date. Products containing live bacteria can vary hugely in strength, efficacy and safety with inferior products falling short for a number of reasons.  At Nutri Advanced, we make sure that our products are manufactured to the highest possible standards to ensure that it reaches you in tip top condition. Our extensive range of products contain varying strains and quantities of live bacteria so there is one to suit every individual. Ultra Probioplex™ Duo contains 4 strains of well-studied live bacteria: Lactobacillus acidophilus NCFM®, Lactobacillus paracasei Lpc-37, Bifidobacterium lactis Bi-04, Bifidobacterium lactis Bi-07®. The NCFM® strain of Lactobacillus acidophilus is an extensively tested and effective acidophilus strain. Bifidobacterium lactis Bi-07® is an abundant type of bacteria in humans. Saccharomyces boulardii is a unique, safe, non-pathogenic yeast that is antibiotic resistant. Not suitable for patients with a central venous catheter, critically ill patients or for patients with weakened immune function. Yes, this product can be taken from 3 years but the capsule may need to be split and opened for younger children. Ultra Probioplex™ Duo is an exciting new formula providing not only 4 strains of live bacteria, but also Saccharomyces boulardii, as well as blackberry extract and vitamin D. This is a super stable formula that does not need to be refrigerated, making it perfect for “on the go” or when travelling. Ultra Probioplex™ Duo may help support normal bowel movements and has broad gastrointestinal and immune system support functions. Ultra Probioplex™ Duo contains 4 strains of well-studied live bacteria including L. acidophilus NCFM®, L. paracasei Lpc-37, B. lactis Bi-07® and Bi-04. Each capsule provides 8.5 billion of these live organisms. Saccharomyces boulardii is a non-pathogenic yeast strain isolated from the skins of tropical fruits. Each capsule of Ultra Probioplex™ Duo contains 6 billion Saccharomyces boulardii live organisms. Blackberries (Rubus fructicosus L.) have a long traditional use, where they are known to support normal bowel movements. Dark-coloured berries, such as blackberries are rich in phenolic compounds including anthocyanins and ellagitannins, which may have positive health benefits. Ultra Probioplex™ Duo also contains vitamin D, which contributes to the normal function of the immune system. The exclusive ProtectAir production technology guarantees the number of live bacteria and their quality until the end of the best before date when stored at room temperature. Only 1-2 capsules per day are needed. Suitable for vegetarians and those who are dairy-free. Using to counteract antibiotics. Very pleased.